Trying to lose weight? No matter what diet you choose, losing weight involves an intentional focus on your goals. You have to make good choices, keep track of how much you eat, and continually focus on the way you want the future to be, even if the present doesn’t look like that at all. In addition to focusing on what you put in your mouth, though, you should also focus on getting enough rest. Sleep deprivation can make dieting even harder than it is the rest of the time, and it can make it even harder for your body to shed the pounds. Dieting takes a lot of effort. That means that it requires you to go above and beyond your normal, basic functioning to strategize, think ahead, plan, and more. It takes quite a bit of mental effort to change, and dieting means making changes every single day. Not getting enough sleep makes tasks that take effort even harder than they usually are. When we aren’t well rested, we don’t have the extra energy that it takes to follow through on these sorts of things. 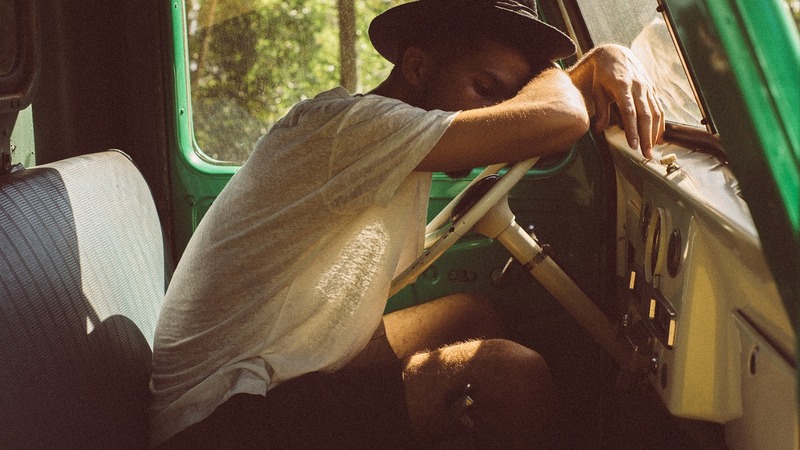 Sleep deprivation won’t just affect your diet, but also your work, driving, and anything that you have to plan. While you can still diet when you’re tired, it definitely gets harder. Save yourself the extra struggle and strain by getting plenty of rest in the first place. Aim for 7-8 hours a night and see if your diet gets any easier. Not getting enough sleep can also make you feel hungrier than usual. People who are sleep deprived have lower levels of leptin and higher levels of ghrelin than those who are well rested. Leptin is the hormone that tells you when you’re full. If those levels are lower than normal or lower than they should be, you’ll feel hungrier than you usually would. Researchers aren’t quite sure why this happens. It’s possible that not getting enough sleep just throws these off. It’s also possible that your body knows it doesn’t have enough energy, since it didn’t sleep enough, and is looking to get that energy another way. Since food is really the only other option, your body may try to get you to eat more to make up for that lack of energy. People who don’t sleep as much definitely eat more than their non-sleepy counterparts, and they do this, at least in part, by choosing larger portions. They seem to do this both because, as they report, they feel hungrier than usual, and it just makes them feel better. We all know that feeling sleep deprived is miserable. When all you want to do is sleep, you’re not going to feel happy going throughout your day. Food can make you feel better, so sleepy people may turn to food for happiness, as well as for energy. No matter the reason, getting less sleep means you will want to eat more every single time you encounter food. Make your diet easier on yourself by getting the sleep that you need. Resting allows your brain to function properly, which will make sticking to your diet that much easier. Not sure how to get better rest? Here are a few ideas. Take the time to figure out what works for you. Improve your sleep environment. Consider the amount of noise that can reach your bedroom, how much light gets into it, and how hot or cold it is. All of these things can interfere with your sleep. Even if they don’t keep you awake, they can make your rest less effective. Do what you need to do to make your room dark, silent, and somewhere between 60 and 65 degrees. Check your mattress. Your bed should support your spine in a neutral position. If it lets your back collapse or pushes it out of place, you need to consider a new mattress. You can try one for a few minutes at a mattress store or order one online with a trial period. Either way, make sure you are sleeping on the right bed for you. Set up a bedtime routine. When you do the same things every night before bed, you train your body to fall asleep after those things happen. A routine will make sleeping more automatic, so you don’t have to try so hard to make it happen. You don’t have to let poor rest derail your diet. Get the right habits in place, and you should be able to get the rest you need so you can eat the way you want to and reach your goals.